February 2011: This weekend I took a roadtrip with friends to visit a most interesting couple who farm gourds, mainly to house Purple Martins through the breeding season when they arrive from South America, but also for crafters who decorate and sell them. 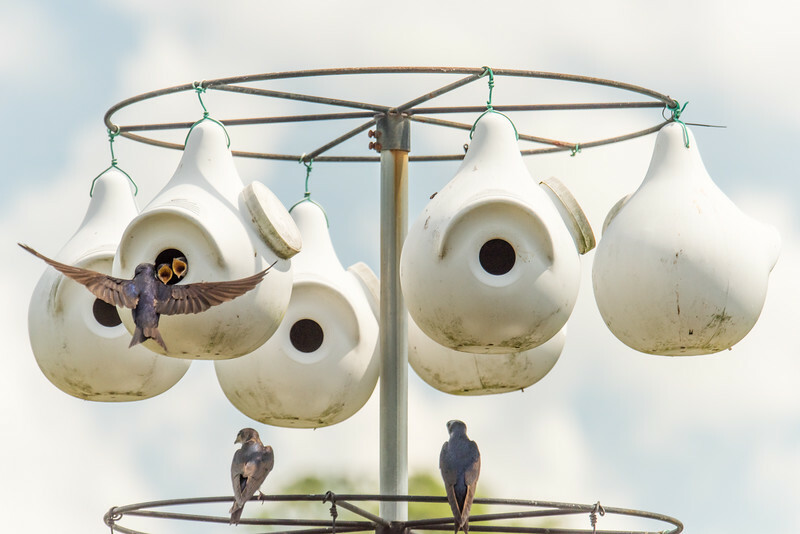 It was the second visit out of what will be a series of visits through the year because I will be documenting the story of gourds and Purple Martins through four seasons in a photo essay. The first visit was back in February when there was nothing much going on except sales of stored gourds to folks who were preparing for the late spring arrival of the birds. For images of the first visit and some more information see my blog entry here. This trip was to photograph the flowering of the gourd plants and the appearance of some young fruit. Bobbie and Loris Yonce also grow daylilies, and since they are much more photogenic than the fledgling gourds (with all due respect) they stole the show. ***UPDATE DECEMBER 2011*** Bobby called to let us know they were harvesting the gourds, so we made a trip back up to the farm to photograph the activity. What a difference the seasons make, especially in the country. The vines are all dead by now, leaving the gourds lying in the fields drying out and ready to be harvested. Here are some of the images. ****UPDATE APRIL 2012*** Up until now I had photographed each stage of the gourds / Purple Martin cycle, from the planting and growing of the gourds, the harvesting (the daylily bonus season inbetween), the gathering of all the birds on Bomb Island (Lake Murray near Columbia, SC), but the last unfinished business was to photograph the Purple Martins using the gourds. This was accomplished over the weekend of April 28th when I found them busily making their nests in preparation for the soon to be born babies. They seemed very satisfied with their homes! ******* FURTHER UPDATE MAY 2015******* One last missing piece of this Purple Martin documentation project was photographing parents feeding the baby birds. I just completed that over the past couple of weeks, and some of the babies have now fledged and it looks like they are going to be leaving us again very soon. We will see whether they gather at Lake Murray, Lake Monticello, or even Lake Moultrie this year.